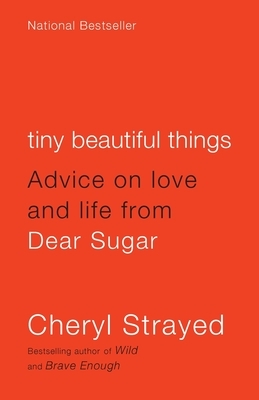 The new book from Cheryl Strayed, Tiny Beautiful Things: Advice on Love and Life from Dear Sugar, is on sale today and we have a special giveaway to celebrate the occasion! Go for it, readers, let your love hang out. We’ll announce the winner here on the blog tomorrow. Her advice to English majors: “Let whatever mysterious starlight that guided you this far, guide you onward into whatever crazy beauty awaits.” I think of this daily. I love Dear Sugar because she manages to be so positive, honest, and comforting, while remaining genuine the entire time. She cares, and she takes the time to make sure that you know it, and it makes all the difference. I love Dear Sugar because she makes me feel more empathy for others. I loved “Wild” because it made me feel empowered, although i didn’t do anything, just plain ol’ empowered for having read it. I loved Wild because it didn\’t back away from the hard things to talk about, the mistakes she had made. It is one of the few books that was honest about how mistakes make us who we are, but we can still recognize the decisions as mistakes. Cheryl Strayed is such a fascinating person, she’s very open with her life through her memoir and every word in the book just blew me away. Wild is one of the best books of the year, I’d love to read her new book. 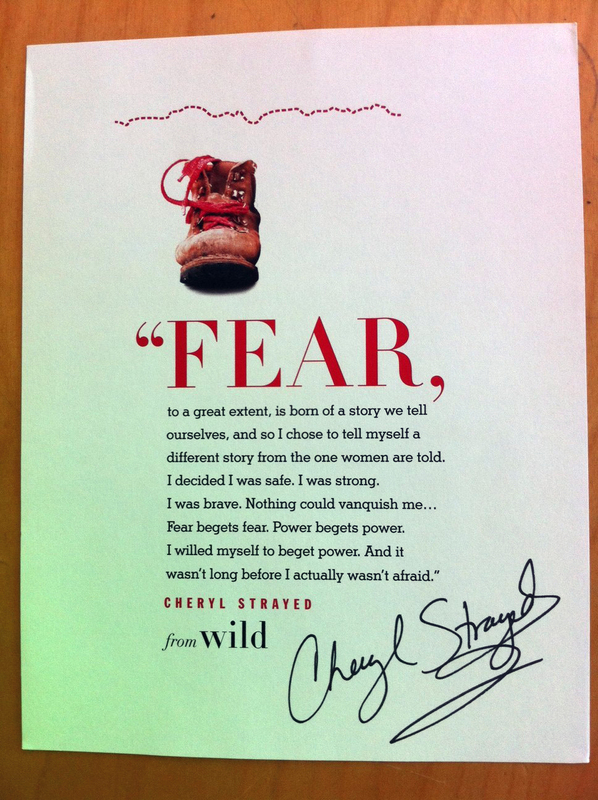 Thank you all for sharing your Cheryl Strayed love! We have chosen a winner at random…drum roll please…..Congratulations MANDY! We’ll send an email to follow up with you. Thanks again, everyone! It’s been great to hear what Strayed’s writing has meant to you. Thank you so much! I’m excited to start reading!